I got a new assignment from the ReviewMe crew :). This time I’m reviewing a website called ArticleChecker. The due date is today, so I’m hoping I’m not to late. The main feature for this website is checking if some kind of text appears somewhere else on the internet ! They also call it a Duplicate Content Checker. At first I thought, what the heck, this seems just silly… checking on an existing text to see if there are any other references on the net. But then I thought further and to be honest it just looks silly but is indeed something very useful ! One big example would be like the Medium4You setup that is happening here in Belgium ! There are examples that they use posts from other blogs without permission, check it out here, and I’m sure other sites do similar things. So what is a blogger to do, when he wants to check if popular posts are copied ? Well… just use ArticleChecker ! You paste some text inside the input field and check what search platforms to use. When there are results, you get a nice overview with some insight on the found references ! Like I said earlier, it just seems to easy to use, but looking deeper I sure love the potential it has. 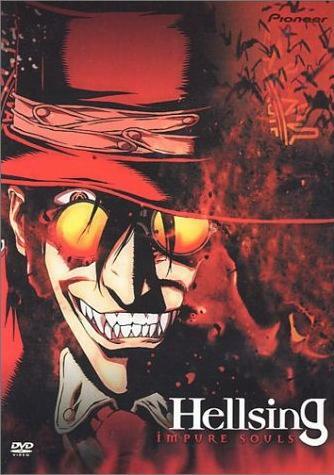 A tv series that I’m currently watching is Hellsing, it’s a anime series based upon a manga. The complete tv series detailed information can be found here ! The story evolves around a vampire Alucard from the organisation Hellsing, who kills other vampires called Freaks. Just check it out ! 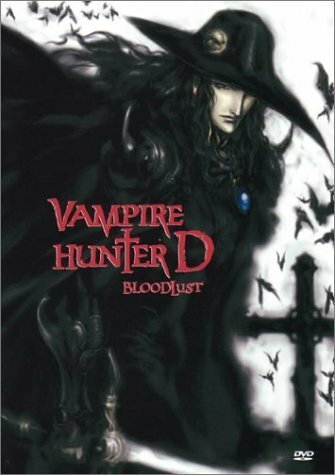 My most recent movie viewing’s with vampires are Vampire Hunter D and Vampire Hunter D:Bloodlust, also anime movies that already have some age, but still look very good. Vampire Hunter D is a descendant from the vampire king and hunts down other vampires who are on a killing spree. One last reference I will give you is a double issue ! 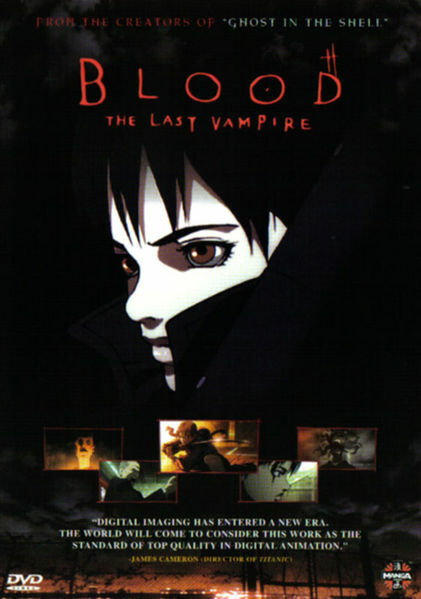 First a movie called Blood:The last vampire and afterwards a tv series called Blood+. The series resumes the story of the movie, but decades later. Here a young girl, the last remaining true vampire, fights demon vampires ! I hope you can enjoy these features like I do, because they are really a pleasure for the eye !! Look, Mirthe is asking questions !! And let’s see if I can answer them. There is none, I’m no smoker… both of my parents were ( they’ve quit ) and I’ve had enough second smoke during childhood for the rest of my life. Like I stated above, I guess I had enough smoke while I was younger, so I’ve no intentions to start picking up this nasty habit. So… Buddha, PieterC and Wim are you guys guilty ? SO running, it has always been around, but since our own national television VRT has created a sport series for everybody to follow, running has become ever more popular ! The series was called Start 2 Run and they even came up with the super idea to create podcasts so everybody with an iPod or mp3 player could join !! Of corse this isn’t the only schema you can use, but it has made several people take up running. Now the blog sphere has always been keen about following new hypes, so it doesn’t strike us odd when there are more like me out there ;), the first here ?, one spotted here, another here, more running over here, and here, even with data added here, back stories here and here and last but not least with some running training info here !! So my personal goal is to perform the 10miles of Antwerp next year… a year worth of training should do the trick ;). I know that is too far, so this coming September I’ll be running the 5km in Mechelen. So far I’ve done lesson 12 of the podcast series and I like it very much… they tell you when to start running and when to stop and even play some music during the session ! I even have to say my fitness level is going up, because I always run with a HRM, and during the last few sessions I’m able to keep a fairly low rate. Maybe I should read up a bit more on the subject, some info can be found here though. Now on the other hand I’m also looking to get more info, data, statistics on my running and I’m currently in doubt whether I should buy that fancy Nike+ sport kit for the iPod ! But I’ve read in a review somewhere that you can’t replace the battery and the life time is maybe a bit short ? On the other hand I like the design and concept behind it, so maybe in the near future I’ll buy it :). And for all you tracking freaks, just take a look at this site ! Ok enough about sports… here are the 2 clips from the start of this post ! !